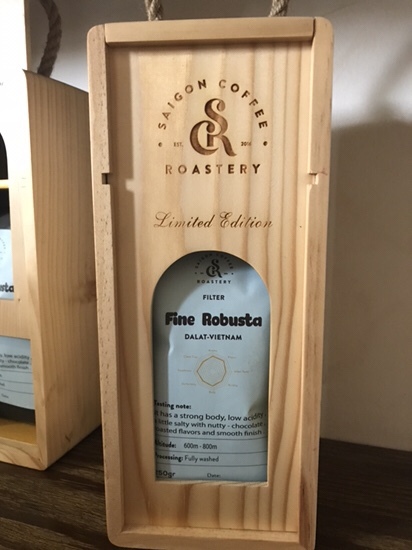 What’s better than gourmet coffee? Free gourmet coffee, of course! After getting a haircut today, I realized that my favorite local roastery is in the same building as the barbershop. How awesome is that? Two of my favorite places in the same spot. 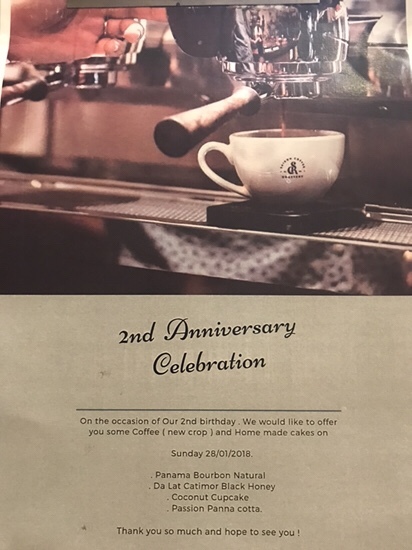 Because I live a charmed life, where only good things happen to me, the coffee place was celebrating their second anniversary today, and was giving away free coffee. We tried a few of their special roasts, and a lite coconut pudding. The two brews were very different from each other, and different from most coffees that we’ve had. I liked the Bourbon Natural more than the Catimor Black Honey, but they were both really good (note: bourbon is a type of coffee bean. Not a whisky-soaked bean. But I like your thinking). 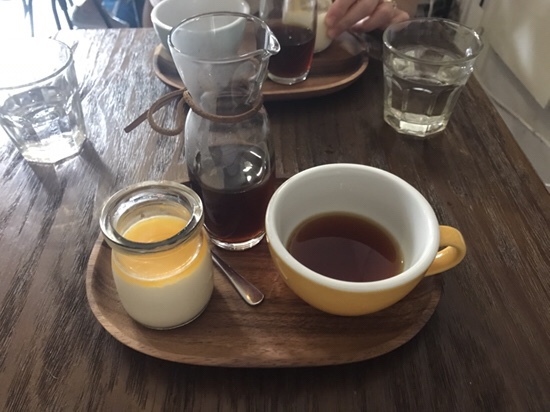 Can’t beat the presentation: the coffee was made in using the pour-over method. Loved the wooden serving tray. I buy whole beans and grind them myself. Buying beans wasn’t in my original plan, but since I got two free cups of coffee, I would have felt guilty if I walked out empty-handed. So I bought a half-pound of beans. Even though the shop got money from me in the end, I think I got the better deal in the end.